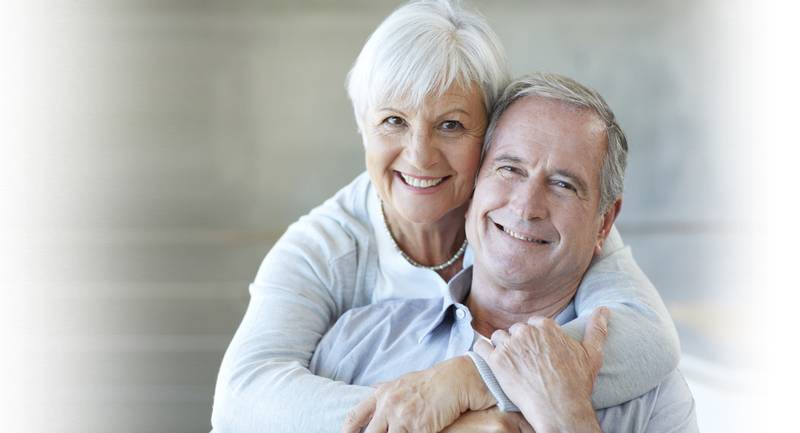 Dentures are custom-crafted to fit your mouth and your specific tooth replacement needs. They provide a cosmetic and functional replacement solution for tooth loss. To make your dentures, our dentist will make a series of impressions of your jaw, including several measurements. A model will be crafted, tested, and adjusted until the color, shape, and fit of the denture are right for your needs. Once the model is ready, it is sent to the dental lab and used to cast your permanent denture. Finally, you will receive your permanent denture and minor adjustments will be made, if necessary, to ensure comfort and fit. Immediate Full Dentures are an excellent choice for patients who need the last remaining upper and/or lower teeth extracted. These dentures provide temporary replacement for your teeth while your gums heal following extraction. The immediate denture is placed immediately following extraction, which allows you to have the appearance and function of teeth during the healing process. In fact, immediate dentures act like a sort of bandage in your mouth and serve to promote healing in your gums. Generally, a set of Conventional Full Dentures is made to replace the immediate dentures once healing has completed. Partial Dentures, also known as removable bridges, are replacements for one or more missing teeth. Besides the aesthetic reason for bridges, patients often choose to have a bridge to prevent teeth from rotating or shifting into the empty spaces caused by tooth loss. A standard bridge (or fixed bridge), places a crown on the teeth surrounding the empty space, then attaches a replacement tooth to those crowns. Our dentist will help you match the replacement to your natural teeth for a consistent look to your smile. With any form of dentures, you should follow up with our doctor as recommended. We may need to make adjustments to your dentures over time to keep proper fit and full comfort. You should clean your dentures regularly using a soft bristle toothbrush and a non-abrasive cleanser to avoid build up of plaque. Generally, dentures should be replaced every 5-10 years. Ask our doctor to evaluate whether your dentures should be refit or replaced. Let us help to restore your smile today.